Newton Aycliffe-based Commercial Expert has added to its team once again after another successful year. Greater demand for Commercial Expert’s specialist broker services has led to new appointments to ensure they continue to deliver the personalised service that clients have come to expect. The first appointment sees Abigail Taylor join the team whose head office is based at Aycliffe Business Park. Abigail brings almost 20 years of banking experience to the new business administrator role, with particular expertise in mortgages and secured lending. Her understanding of finance applications and processing will be a great asset to Commercial Expert’s increasing client base. “I’m delighted to join the team at Commercial Expert,” said Abigail. “The work is so interesting and varied – no two days are the same. The second exciting appointment is currently being finalised and will see a further team member added by the end of the year. The new year will see fruition of Commercial Expert’s growth plans, with added appointed representatives around the UK, and a particular focus on expanding North after establishing opportunities in Yorkshire. Daniel Brown has also been promoted to senior business manager after being employed by Commercial Expert’s managing director, Mike Coates, 14 years ago. “Dan has been an integral part of what we’ve built up at Commercial Expert and loves what he does,” said Mike. “So it’s fantastic to be able to appoint him to a senior role as we look to the months and years ahead for the company and expect our workload to continue to rise. 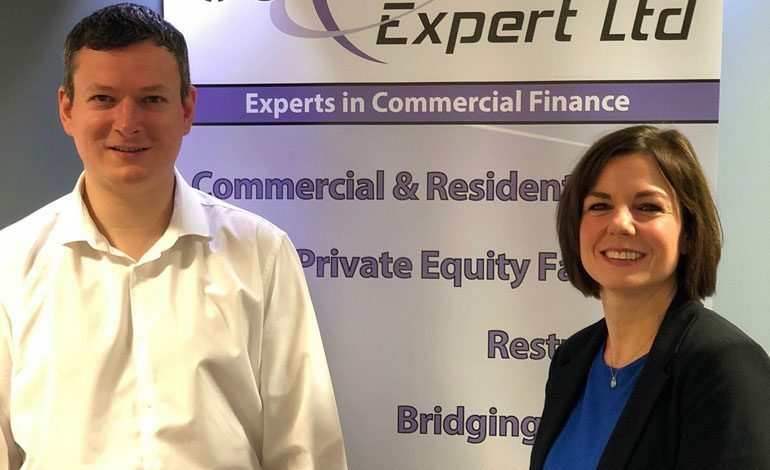 Commercial Expert now has a team of 12 delivering a range of services including business loans, property investment finance, development finance, bridging and rescue finance – and is fast becoming the most recognised commercial broker in the North of England.